Welcome to another of Dr Liz's musings. This time it is about who is better equipped to be the advocate for the welfare and care of your pet. Is the vet or is it you? Why would I think to bring this up? Those who know me well, know I maintain my veterinary knowledge through alot of reading, webinars, seminars and conferences. Many times, my pre-conceived ideas, or what I have believed or was taught, are challenged. Not necessarily a bad thing... Most time, it is intended to educate and expand my way of thinking. I have always believed, and acted, that in the consultation room, there are three of us, working together for the betterment of the one (the pet). That is, there is the loving pet owner, the beloved pet, and then there is me (the vet). The pet is the one whom we need to look after. The loving pet owner is the advocate for that pet, and the vet is there to ensure the advocate is given the information to do their job. 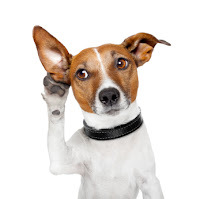 However, in many webinars and seminars I have attended recently (and perhaps it was always so, but I wasn't open to the idea), the message I hear is that the vet is the pet's advocate, and as a result, procedures are booked and done that are in the animals best interest. where I will outline two points of view - the vet and the owner - in these cases, whilst the pet is in the middle. The first situation involving Tobes - a middle aged mixed breed - slightly overweight, no skin problems, has two lumps (one of the back leg, and one of the right shoulder - the tests are suggestive of a cancer). The vet recommends surgical excision, histopathology including surgical margins. The owner says the lump has been there for a few years, and hasn't changed. It's not painful. The second situation involving Sassy - a youngish cat (only 1 year old) with very red gums, especially the first tooth on the lower jaw. She is eating well and appears otherwise normal. The vet says that the red gums are not normal, and need an xray plus a complete oral hygiene treatment (scale and polish), and possibly extractions if bad things are found - such as feline resorptive lesions or periodontal disease. The owner says the cat is eating and acting normally. What would you do as the owner of Tobes or Sassy? What should the vet do? Who is the best pet advocate? The owner or the vet? Is it a "it depends" type answer? If so, depends on what? If the owner is not keen for any further interventions, such as an anaesthetic and surgery, do they have the right to make the decision? If the owner is refusing further tests, is this in the pet's best interest? or the owners? Should the vet use language and techniques which doesn't give owners a choice? Should the vet be put in the position of "selling" a necessary procedure for the pet? Or in other words, why do vets need to sell a procedure for a pet, when that procedure is necessary for that pet's welfare? Who is the best person in the room to speak for the pet - the vet or the owner? Whilst, the idealist part of me, says it is all of us working together, the experienced vet side of me, knows the reality that some vets face every day. 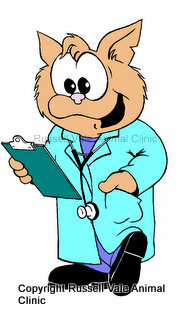 I am Dr Liz, and I am honest to a fault (it gets me into alot of trouble), but I believe your pet deserves that.